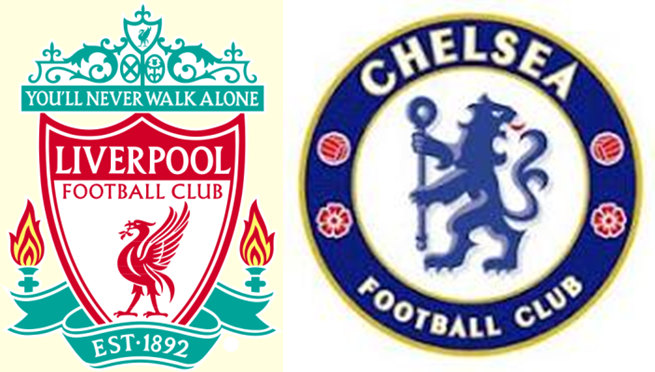 Premier League Preview for Liverpool v Chelsea along with Predictions for the week 34 EPL match. Follow up each match with results and video highlights posted later in the week. You can also check out the weekly EPL TV Schedule. Perhaps the second biggest match this weekend in part because it is Liverpool v Chelsea, but also because of what this means for the top of the Premier League Table. A Chelsea win would keep them in the top four, a loss could put them back into fifth depending on what those around them do. Chelsea were in a close match with Fulham until David Luiz’ 30th minute cracker opened up the game for Chelsea. It will certainly take a fantastic game-changing goal like that to overcome Liverpool. Liverpool’s problem this year has been their inconsistency in front of goal. They manage to absolutely dominate a game and get so many chances, but their clinical finishing has been their downfall in so many games, and especially so against Reading in their 0-0 draw. Yes, Alex McCarthy was a superhero in goal, but many of the shots he faced were at him and many more could have been more clinical or taken earlier rather than being cute and playing one more pass. Against Chelsea they will need to do better with their chances, but they should get plenty. Gary Cahill, Ashley Cole and Marko Marin could be available for Sunday and I’m expecting Lampard and Terry to play as part of the rotating squad. My prediction is for a draw. I think Chelsea will have a difficult time winning at Anfield, but also think that they can do just enough to get a result.